You are here: Home / Infographics / Does Luck Exist? Again I have spent a lot of time creating an infographic. This time it is my Does Luck Exist? infographic. I wanted to have an infographic about luck that asked the question of whether luck exists. That’s a loaded question, because of so many varying opinions on it. However, most opinions can probably be boiled down to yes, no, or maybe, like so many other questions that are difficult to come to an agreement on. The definition of luck really doesn’t help much in determining exactly what luck is. 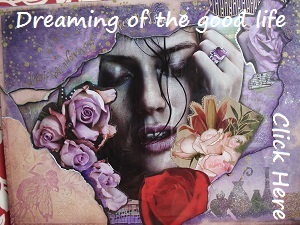 I’ve come to the conclusion that luck, if there is such a thing, means different things to different people. Some deny there is such a thing as luck, while others often depend on luck – usually good luck to come their way. While I have reservations on exactly what luck is, I have tried to indicate on the infographic some of the things that are thought of when describing luck, including what some famous people have said about it. Take a look at my Does Luck Exist? infographic and if you like it, let others know by tweeting, sharing or liking on Facebook, and be sure to Google+ it if you have such a Google account. Here is my “Does Luck Exist?” infographic. Click image to enlarge – then click again for full size image. Are there any other things related to luck? Good question. 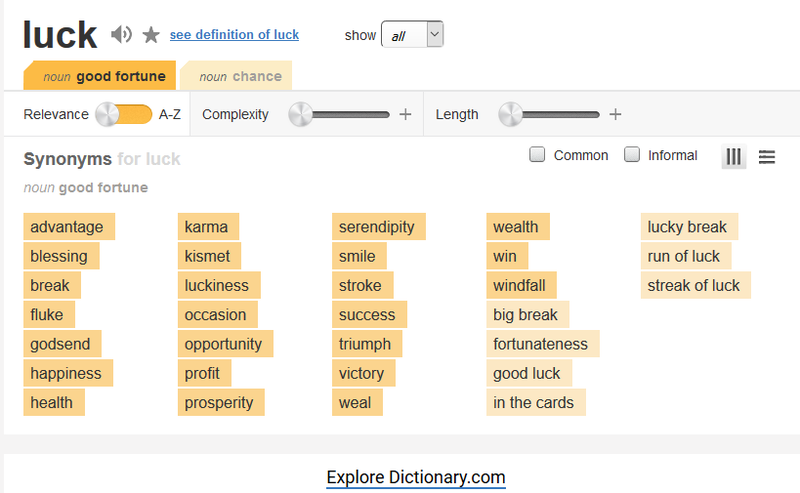 Here are synonyms that mean about the same as luck according to Thesaurus.com. Which one or more of these, if any, do you think most closely mean the same as luck?